"It’s understandable that people might feel that things are looking decidedly gloomy on Earth at present, with the daily reporting of killing and destruction and cruelties, not to mention natural disasters, in various parts of the planet. These things in themselves engender fear and pessimism. Add in the deliberate promotion of fear by people in positions of power as a means of furthering their own ends and the global situation may seem to be overwhelmingly depressing. ..."
"There’s an old saying, with which you’re familiar, that the darkest hour comes before the dawn. Black clouds pour down torrents of rain but they inevitably evaporate and the sun shines through effulgently. The divine essence within all souls cannot be controlled by fear indefinitely. It may appear to be submerged in a black cloud but that can ever be only a temporary situation. 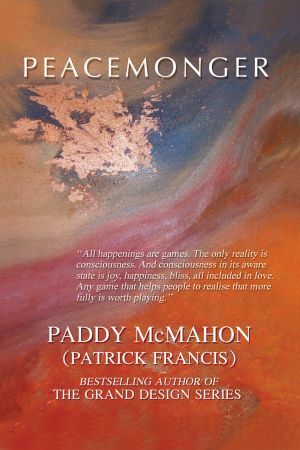 ..."
The above is an extract from this book which has been written by Patrick Francis (Paddy Mc Mahon) in collaboration with Margaret Anna Cusack (1829 – 1899), who was internationally famous as The Nun of Kenmare. Previous dialogue between them was published in A FREE SPIRIT.